Upscale Dubai Marina and Downtown Dubai are among the top-five most searched apartment communities for buyers in 2018 as softening prices, particularly in prime neighbourhoods, entice potential investors. Jumeirah Lake Towers, Jumeirah Village Circle and Business Bay are the other three areas included in the five most-searched communities for Dubai apartments for sale as real estate asking prices on average in these five communities fell 8 per cent year-on-year, classifieds portal Dubizzle said in a report released Saturday. The Villa, The Akoya Oxygen, and Mudon were the top-searched villa for sale communities in Dubai, along with more established upmarket communities such as Arabian Ranches and Palm Jumeirah, Dubizzle said. 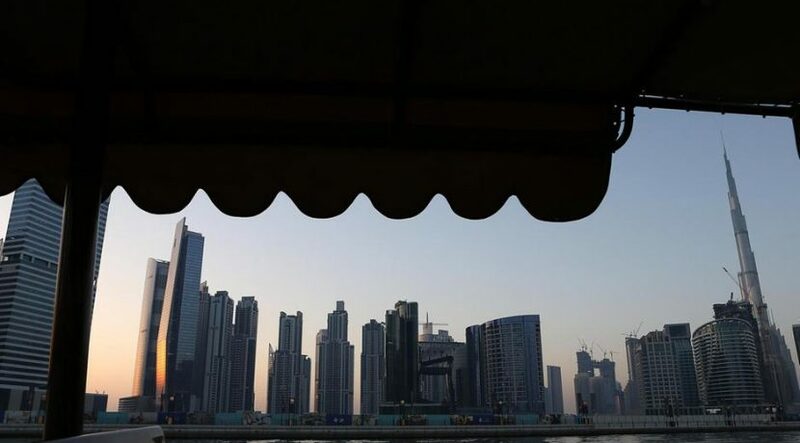 The UAE property market slowed down during the three-year oil slump, which led to cutbacks in government and consumer spending and affected sales and rental prices. With the market forecast to decline further in 2018, albeit at a slower pace, the government has sought to encourage investment. The launch of the real estate self-transaction portal by the Dubai Land Department slated for completion in 2020, as well as the introduction of eMortgages, will make transacting faster and easier on end-users while policy reforms such as the retirement visa initiative will also drive demand for properties and lure further investment to UAE, Mr Abdin noted. In terms of apartments, Dubai Marina accounted for 36 per cent of searches, Jumeirah Lake Towers for 21 per cent and Jumeirah Village Circle for 17 per cent. Downtown Dubai made up 13 per cent of total searches while Business Bay counted 12 per cent of apartment searches. Expat and investor favourite Dubai Marina remained relatively unchanged, with prices dropping an average of 1 per cent across one-to three-bedroom apartments in the area. The demand for three-bed apartments, however, pushed the asking sale price up by 5 per cent to Dh1,647 per square feet as of third quarter of 2018. However, one-bedroom and two-bedroom apartments in the same area saw a decrease of 3 per cent and 4 per cent respectively, according to the report. Downtown Dubai remains the highest valued area for apartments, with an average asking price of Dh2,088 per square foot. However, asking prices declined an average 12 per cent year-on-year across one-to three-bedroom apartments. Jumeirah Lakes Towers also experienced an average of 12 per cent decrease in asking sale price, while Jumeirah Village Circle and Business Bay experienced a decline of 6 per cent and 10 per cent respectively. Dubizzle Property, which has over 130,000 listings at any given time and registers over 100,000 daily visits, said The Villa was the most-searched development for villas for sale accounting for 23 per cent of total searches, with Arabian Ranches, the Palm Jumeirah, Akoya Oxygen and Mudon making up 21, 20, 18 and 17 per cent, respectively. The Palm Jumeirah moved into the top 5 searched villa communities in 2018, reflecting a trend that softening purchase prices are encouraging residents to consider higher-end communities as they become more affordable. The new development in Dubailand, Mudon, also entered the top searched communities this year, signifying the effect of off-plan developments on boosting the real estate market, according to the Dubizzle report.